Includes 25 free messages & a demo keyword. No credit card required. No monthly fee. Buy credits & keywords when you need them. For home businesses and solo entrepreneurs. For small business owners, marketers, and shops. For professional marketers, speakers, and agencies. For small businesses and professional marketers. Our goal is to be as transparent as possible about the scope of our service and the capability of our staff. 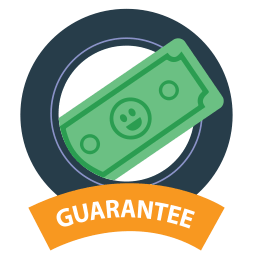 You're backed by our 100% 30-day Money Back Guarantee and if for any reason you wish to cancel, we'll refund you every penny back to you less any messages that have been used. After you create an account, you get instant access to all of Call Loop features for 14 days. If you would like to upgrade or downgrade your plan, you can do so at anytime from within your members area. We don't require a credit card during the trial, so you can try Call Loop obligation-free. What is a message credit and how do they work? Message credits will enable you to send and receive text messages, voice broadcasts, and ringless voicemail messages. For SMS messages, 1 credit = 1 SMS, per contact. (ie: 100 contacts x 1 SMS messages = 100 credits). Voice broadcasts are billed in 60-second increments and cost 1 credit per 60-second message. Ringless voicemail messages are 2 credits per message. What is pay-as-you-go billing model? Pay-as-you-go (PAYG) is when you pay in advance of the service use. You are not tied into paying for a certain amount of texts each month and you can stop the service whenever you want. At anytime you can buy credits or keywords from within your account. Is there a minimum commitment or contract? Our pay-as-you-go plan does not have a monthly or annual fee attached to it. Our other plans are month-to-month or year-to-year and can be ended at any time by contacting support. There are no cancellation fees or penalties. What happens if I go over the amount of messages on my plan? From within your account, you can setup auto-recharge to automatically top off your credits for when they fall below a certain amount. This ensures that all of your messages will be delivered to your contacts. You can always purchase more credits at anytime as auto-recharge is an optional setting. Call Loop SMS is only available in the continental US while voice broadcasting is currently available in the USA and Canada. At this time, we are not available in the UK or Australia. To sign up to be notified when we expand into your country, please sign up here. If I sign up for a free trial, will I get access to all features? Yes! You will have full feature access during your trial and there are no credit card details required to sign up. We provide you with 25 credits on your account and a free demo keyword so you can test the software before buying credits, a custom keyword, or upgrading to a plan. How do I upgrade my account during the trial? You can upgrade your account by making a purchase of messages, purchasing a keyword, or by upgrading to a monthly or annual plan. Once you're upgraded, you're account will remain active after the trial has ended. If you decide not to upgrade at the end of your trial, your account will expire. Can I purchase extra keywords? You can purchase keywords at anytime from within your account for just $15/mo/keyword. And if you decide that you no longer want the keyword, in just a few clicks you can release this keyword and stop your subscription. We currently accept Visa, MasterCard, Discover, and American Express. At this time we do not accept Paypal. Yes, we offer a 15% discount on an annual and a 20% discount on a biennial plans, when they are paid upfront.